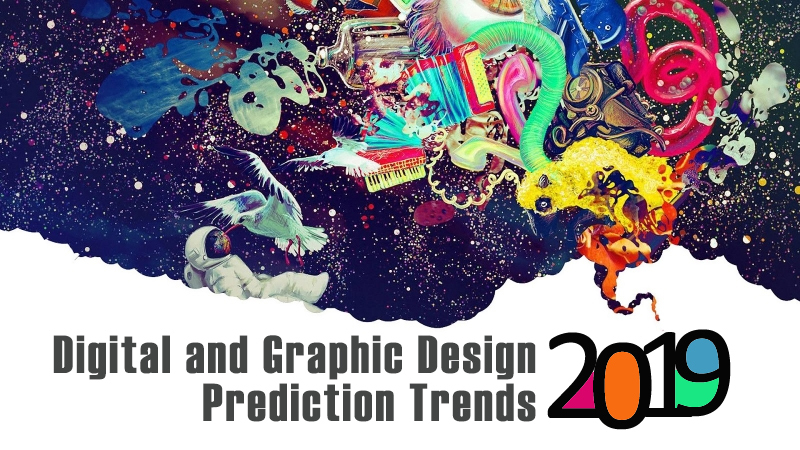 Many are already predicting that the digital and graphic design trends in 2019 will truly be impressive and out of this world. Unlike past trends in past years, many see that the trends of 2019 will not disappear swiftly because they will be ground breaking. These trends will also be stable as the demand from both users and designers for projects will be enormous. If one were to describe the current digital and graphic designs, they could be called “impressionism but bordering on discouragement.” Thus, 2019 will be revolutionary as the trends for brightness, non-triviality, surprise, and experimentation. And it needs to be revolutionary as bored or discouraged users mean low traffic and low conversion rate. In digital and graphic design terms, complementary reality is the exposition that constitutes two objects, with one object depicted in skeuomorphism (such as the trash can or folder image in Windows) and the other in digital metaphor. It is not only soon to be revolutionary in graphic and digital designs, but also in web design and print solutions such as posters and flyers. 2019 will see a combination of bright colours with 3-dimensional elements since the variations from these can be infinite. And bright colours with 3-dimensional compositions will also look great with other print designs aside from digital, graphics, and web such as on posters and signage that will cause an attraction to any business or event. Simply put, images are purposely designed as if sustaining some damage. This “damage” effect can appear in a variety of unexpected versions and modifications. Using this effect doesn’t even need complex technical know-how. Mixing an actual image with a negative space makes for creative variations. It captures people’s interest as they are drawn to the image to the negative space and back to the image. It is a virtual mixture of emptiness with a fascinating picture that tells a story. This is a graphic, digital, web, or print design in which the background colour and the foreground object coincide. The object stands out only because it is rendered in 3D. The whole picture will look very attractive. If you are looking for the newest trends that will leave people staring at your website, Loud Media Agency will make sure that your digital, graphic, and print solutions will be successfully implanted no matter how diverse the trend exists. Loud Media has the skilled team that can make design trends and anything else coexist.